Many DIY home enthusiasts and even seasoned professional contractors are not quite aware of the extent of potential dangers of restoring wood floors. While the natural assumption is that dust free floor sanding is important when we are talking about respiration issues, the possible long term lung damage is not the only health hazard of uncareful floor restoration practices. Here are a few other potential dangers associated with wood dust. Nearly every timber is listed as an irritant at some level. However, dust from quite commonly used in flooring Merbau, Ipe or Iroko can even quicker manifest itself by sneezing, itching, skin flushing, runny nose, and even short term breathing problems. As much as the human body can get stronger and become less and less sensitive to the different irritants, some woods that are classified as being a sensitizer can cause the opposite. The more we are exposed to wood’s sawdust or other fine particles, the more sensitive we get to it, and the more severe and adverse the reactions become. If you happen to have an allergic reaction to one of the woods that has been identified as a sensitizer, extreme caution is advised in handling this wood or its related species. Some reactions can be extremely severe. Same as any other dust, fine wood dust hangs in the air and can be easily breathed in. 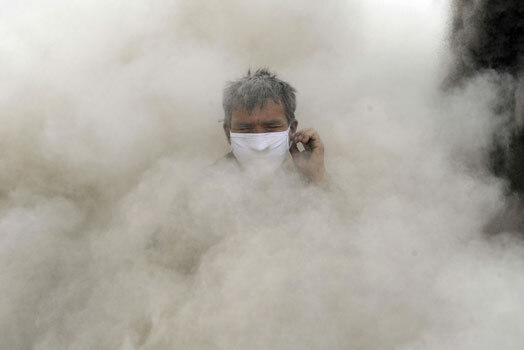 The pure wood dust itself might not be as life threatening as for example asbestos, but prolonged exposure will cause very small wounds to the lungs, scarring, and eventually irreversible diminishing of the lung capacity. Buildings with older floors that have not been renovated for a long time could be cause for concern, as Lead was commonly used in varnishes and clear coats up to 1978. Another hugely popular construction material for most of the 20th century was Asbestos. Asbestos was also used as the coating on wood floors. Inhaling dust from any of these can lead to very serious health problems. High blood pressure, anemia, kidney damage, infertility, impotence, mesothelioma or lung and other cancers. All these conditions can occur as a direct result of exposure to the dust from specific timbers. The most obvious control measure is to create as much dust free environment as possible. That’s why dust free floor sanding equipment is here very essential. Professional sanding equipment has far better dust control than the cheap hire alternatives. Random orbital sanders and edgers can be improved by extractors, and belt sanders by dust control systems. Strategically placed air movers can further improve dust free environment by sucking the old, stale air from the room and allowing fresh air to replace it. Protection equipment like masks or even better respirators should be worn all the time, especially if using cheaper hire machines. Tyvek suit and gloves should also be used and are very helpful when you sand a timber that you are particularly sensitive to.